Ranked 24th in the U.S. for mesothelioma and asbestosis deaths, Alabama reported 542 mesothelioma deaths between 1999 and 2015. Almost always, the cause of these diseases is asbestos exposure. In Alabama, the primary sources of asbestos exposure are occupational settings. Asbestos is a naturally occurring mineral, and in Alabama, there are natural deposits of this mineral near the Georgia state line near the Appalachian Mountains. A few of these deposits were mining prospects, but none of them were ever mined commercially in Alabama. However, workers in the manufacturing and construction industries were at a greater risk of asbestos exposure before this mineral was regulated. A strong, durable, heat-resistant mineral, asbestos was used to manufacture thousands of products used every day in the U.S., including insulation, roofing shingles, construction materials, protective clothing, and paper. Additionally, manufacturing plants used tools and equipment that contained asbestos to make these products. But in the early 1930s, the link between lung cancer and asbestos was discovered. Later, in 1943, the first mesothelioma-like tumor was reported. When microscopic asbestos fibers are airborne, they can be inhaled or ingested. When this happens, some of the fibers can travel and lodge themselves in the lungs, getting trapped there or in the digestive track where they can often remain for years, if not decades. Fort McClellan is a U.S. Army training facility in Alabama. It was home to the Chemical Corps and its school that trained military personnel in chemical warfare. The water and soil were contaminated at Fort McClellan by the use and disposal of toxic waste and chemical weapons used during training. This waste included asbestos waste. Many veterans who worked and lived at Fort McClellan were exposed this asbestos waste before the site was eventually closed down in 1999. By 2014, the cleanup of this base was completed. Mobile government buildings and NASA facilities in Huntsville were built with asbestos-containing materials. Workers in these buildings were exposed to the deadly asbestos fibers, and there have been many legal claims made against Alabama Drydock & Shipping company for asbestos exposure. From 1950s through the 1970s, the industrial insulation manufacturer, Shook and Fletcher, used asbestos in its insulation. Workers at the factory were exposed to asbestos, and in 2002, the factory declared bankruptcy due to asbestos claims. Employees who worked in factories located in Irondale, Fairfield, Birmingham, and Ensley were exposed to vermiculite that was contaminated with asbestos. Up until 1981, tons of raw ore from an asbestos-contaminated vermiculite mine in Montana were shipped to U.S. Steel Corporation plants and Zonolite exfoliation companies. Workers at these facilities were at a higher risk of exposure because the techniques used to process the raw ore created a great deal of asbestos-contaminated dust. Over 140,000 lawsuits were filed against Rock Wool Manufacturing, a cement manufacturer in Leeds. This company added asbestos to its products as a bonding agent. Workers who handled the cement without protective clothing and gloves were exposed. Past Alabama laws made it a challenge for victims suffering from mesothelioma due to asbestos exposure to file claims against the companies responsible. 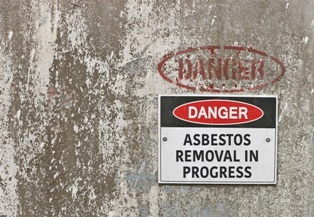 Due to a “last exposure rule,” victims filing asbestos lawsuits could only file a claim within one year of their last asbestos exposure, regardless of the date they were diagnosed with the disease. Thus, victims were prevented from filing claims because mesothelioma has a long latency period, and it can take years and sometimes decades for symptoms to present. However, in 1980, Alabama modified the rule and changed the statute of limitations for victims exposed after May 17, 1980. These victims had one year to file after they are diagnosed with an asbestos-related disease. Additionally, in 2008, the old statue was updated to allow victims two years to file a claim from the time they are diagnosed. Victims of asbestos exposure need skilled legal representation to fight the companies responsible for their mesothelioma and asbestos-related illnesses. Alabama residents with mesothelioma face expensive medical treatment and a two-year statute of limitations for filing a lawsuit, so it’s important to contact an experienced mesothelioma lawyer soon after diagnosis. Our attorneys can help get you the compensation you deserve and hold the negligent companies accountable for your asbestos exposure. Dealing with a mesothelioma diagnosis isn’t easy for you or your family, but Neblett, Beard & Arsenault can help. We handle asbestos-exposure cases on a contingency fee basis—which means you owe no out-of-pocket expenses and will pay attorney fees only when we settle your claim. To learn more about our experience in these cases and your legal options contact us online or call our office directly at 318.541.8188 to schedule a free, no-obligation consultation.